Traditional investments include well-known assets such as stocks, bonds, mutual funds, ETFs and annuities to build an investment portfolio. Most investors have experience using these types of assets within their personal accounts or company sponsored plans, like 401(k)s and 403(b)s.
Alternative investments include assets such as real estate, precious metals, oil & gas, and commodities. Investors in these assets are looking to diversify their portfolios by adding assets that tend to react differently than their traditional counterparts. Alternative investments and strategies have become more popular in recent years due to their use in many endowment models of institutions and universities such as Yale and Harvard. In all of our recommendations, we are considering the effects of taxation at both the State and Federal level. Quite often the impacts of taxation are the difference between success and failure when it comes to investing and retirement planning. In some cases, tax sensitivity becomes the first priority in investment selection and management. It is for these cases that we utilize specialized investment managers and strategies. Socially responsible investing (SRI) is becoming increasingly important for investors. This strategy involves vetting companies before investing to make certain that they are socially responsible and align with the investor’s principles. This may include avoiding investing in companies that participate in environmental degradation, morally questionable behavior, or other principle-based criteria. 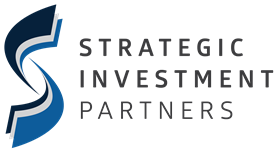 We work with clients who are interested in SRI and show them what these companies look like and how this strategy influences their investments. All investing involves risk, including the possible loss of principal. There is no assurance that any investment strategy will be successful. A diversified portfolio does not assure a profit or protect against loss in a declining market. Asset allocation is an investment strategy that will not guarantee a profit or protect you from loss.